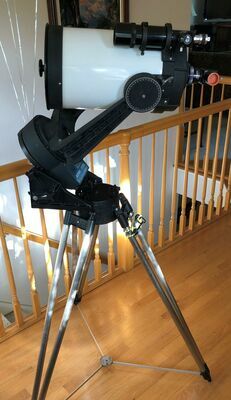 I have a WHITE TUBE C8, Celestron-Byers drive, Starbright coating, Celstron tripod, White tube Celestron 8x50 finder, under carriage adjustable weights, with many other extras. I purchased it new from S&S Optika in Englewood Colorado in about 1984-85. Serial number is 824122. 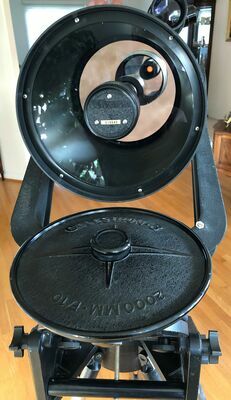 Cathy at S&S explained to me when I purchased it that they purchased 100 of these from Celestron and they were manufactured according to S&S specs and desires. Still works great. 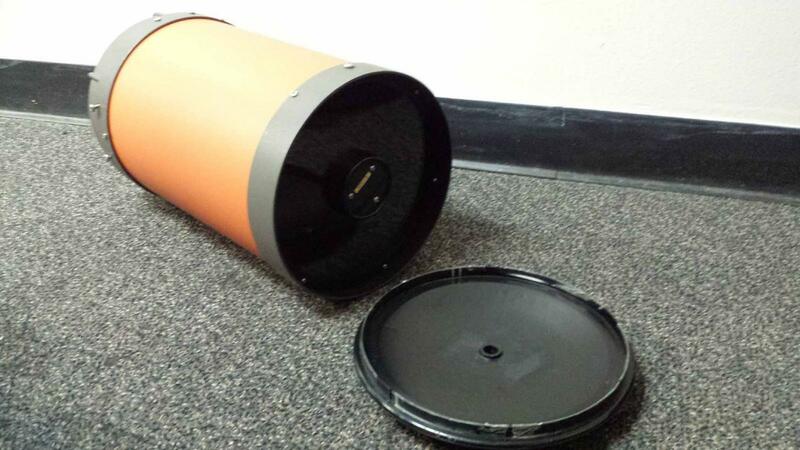 Celestron recoated the mirror in about 2007 (free) under the 25 year warranty. I have all the papers and manual. Several eyepieces and other adapters were supplied in a foam lined Orange plastic case. The scope was packaged in a large black trunk. All the eyepieces were manufactured by Clave. Edited by Joerhatfield, 30 August 2018 - 10:04 AM. YES !!!!! We love pictures! Many thanks to olguy, Sojourner1x1x1, NMBob (great to have the original sale date and optics numbers), Rugheimer (nice to hear of another early C8 – please can we have some more photos? ), Glenn Graham (please can we have some more photos and can I check that the last digit of the serial number is 8 and not 9? 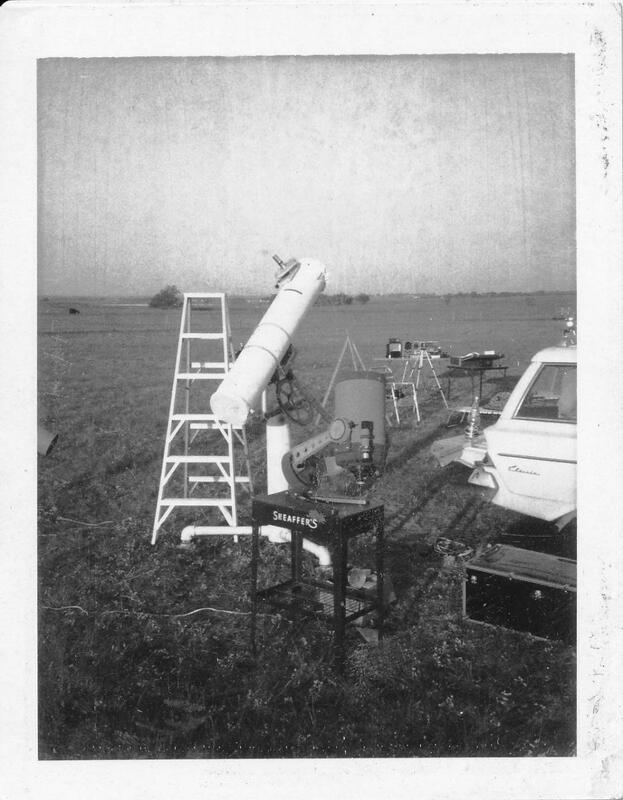 ), gcdunlap, Returning-to-the-sky (could your father have purchased the scope in 1979? ), STELLAR49 (nice to hear of a Tuthill scope – could we have some pictures please of the various Tuthill additions? ), Zekester, afernald (thanks for the original sale date), Dale65, whizbang, Ptkacik, Joerhatfield (thanks for the details on the special production run for S&S Optika and I second B 26354 and John (CCD-Freak) in a request for photos please?) and toyhole (nice to have another tri-colour on the list and great to get an original sale date for an 8 series serial #) for the serial numbers and other details of their C8s. I’ve now added them to the C8 Registry and bumped it to the 15th Edition. 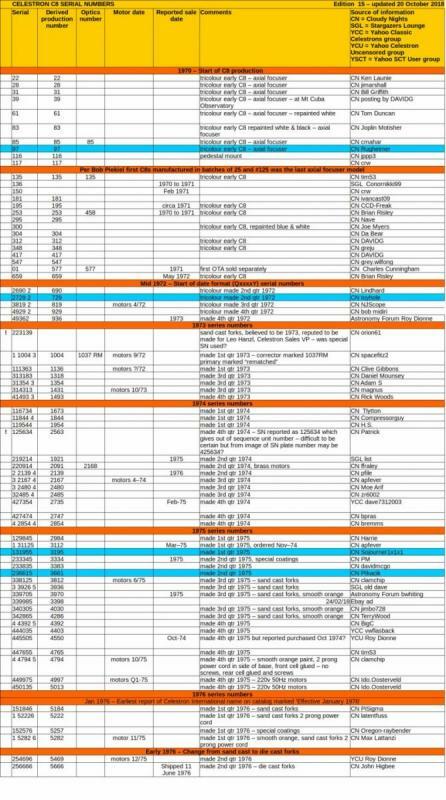 As usual, the new entries are highlighted in blue and to keep the file size down I've only shown an image of the top part of the list in the image below, however the orange link above will take you to a jpg of the full version. With regard to motor numbers, as I’ve noted in the C5 Registry thread, whilst Don is right in that when looking at a single C8 in isolation, the motor date only gives the earliest date that the scope could have been made (assuming of course that the motors haven’t been replaced at some later stage) because Celestron could have purchased 100,000 motors in 1975 and be still using them for scopes produced in 1982, this is where I think there is value in recording the motor dates along with the serial numbers as it then gives an idea of how quickly Celestron’s stock of motors was turned over. Unfortunately, when we get to the scopes produced after 1979 which have serial numbers with no date indicators we don’t really have much to go on other than motor dates and the odd data point provided by a scope that has a verified purchase date (and even then there is no telling how long it might have sat in the dealer’s stock). This registry is very cool! It's an honor to be part of it. Thanks Daniel and thanks to every one who has contributed. Following on from my comments on the C8 Registry update in a previous post (#554), whizbang’s serial number is a bit of an oddity. A scope with production number 7020 would fit in the 4th quarter but would have serial 4 7020 6 or if it is a 3rd quarter scope then a production number of 6020 (serial 3 6020 6) would make more sense. It may be that the Celestron employee stamping the serial numbers was having an off day and either used a '3' instead of a '4' for the first digit or a '7' instead of a '6' for the second. The motor date may help to narrow down whether the number should have been 3 6020 6 or 4 7020 6 as scope # 3 6121 6 is reported to have motors dated 12/75 (so the Dec 1975 motors stock lasted into the 3rd quarter of 1976) whereas scope 4 6793 6 is reported to have motors dated 9/76. Gotta love these Celestron serials – very so often they throw you a curveball! I swapped forks on my 233835 due to a friend having one that gives better mesh to the motors and tighter declination feel. My original one must have had some eccentricity to the drive gear because it would keep developing play after running the drive for a while. Kind of bothers me that the serial number is on the base rather than the tube since mine has really nice optics and was recoated by Celestron with Starbright about 10 years ago. Anyway, serial number on the new fork mount is 151736. Just added my second C8, this time an Orange Tube from around 1980. S/N 811625. Already registered here by CNer Augustus, the scope made its way to me via CNer slsnider423 in New Mexico. It has been deforked, and I will use the OTA on a classic Vixen Polaris mount, which I had acquired from CNer TerraClarke. mounted on an added "C8 to Polaris" reverse dovetail adapter. I have managed to clean up and re-assemble the optics in the scope, it had the unfortunate luck to have the Secondary come unglued in transit to me in South Carolina. I can confirm the Corrector number etching the same as CN Augustus, 6247. Thankfully no permanent damage to the optics, despite the Secondary Baffle bouncing and rolling around in the tube like a brick in a washing machine!!! Meant for Outreach and just fun everyday usage with a C8 that is more grunt-and-hernia than grab-and-go... My other C8, "Atlas" is the heave-and-hernia type, (I'll get the S/N for him and follow up, here) is a Celestar8 from 1998/99 one owner for me that has been converted to a Deluxe forks and base, and a larger Super C8-style field tripod and wedge rather than the old wedgepod. I finally found an old Polaroid of my buddy Phil's tri color Celestron 8 SCT sn 195 from 1971 seen here in the wild. It is on a table top stand they made back in those days. Just discovered this fantastic C8 Registry page! Interesting to see how many (very) early C8's are still around and hopefully enjoyed under the stars! s/n 449975 / prod. nr. 4997 has changed hands from Ido Oosterveld to me, Ronald Aker, Amsterdam, Netherlands. s/n 450105 / prod. nr. 5010 is a new one to this database, it is currently owned by the WLS of Leiden Observatory in the Netherlands. I found an older posting (2010) on a Dutch Astronomy forum about older C8's stating someone owning s/n 426234 / prod. nr. 2623 at the time. Believed to be one of the first of a batch of 20 original C8's sold new in the Netherlands by Polaris in Amstelveen. Regards and keep up the good work with this interesting registry! I’m well overdue for another update of the C8 Registry which is now updated to edition 16. May thanks to davidmcgo, randy_1701, C8 Ronald and toyhole for updates and additional information to C8s already in the registry and for reports of new C8s which I have added. It’s nice to have reports of another early axial focuser C8 (#69) – we now have 11 out of the 125 axial focuser C8s in the registry! Looking at Ronald’s post I’m guessing that the Leiden Observatory C8 s/n 450105 (prod. no. 5010) will have 220v 50Hz motors as s/n 449975 (prod. no. 4997) which Ronald now owns and s/n 450135 (prod. no. 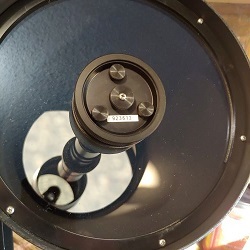 5013) originally reported by Ido Oosterveld have 220v 50Hz and given the closeness of the serial numbers these scopes were presumably all part of a batch imported by the Dutch Celestron agent. 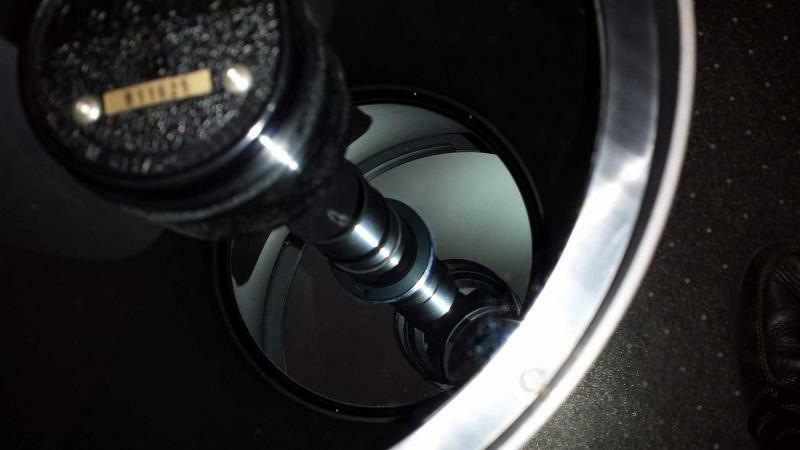 And thanks to CCD-Freak for the classic Polaroid of C8 s/n 195 on the early Celestron table top mount – a lovely scene – is that the tail-end of a Rambler Classic? Thanks again for all your contributions and please keep them coming. Good eye !! !....That sure is a Rambler Classic station wagon which Phil named Igor due to the funny noise it made when shifting gears. We did many star parties from the back of Igor. Phil still has his C8 to this day and it still puts up nice images. Good day all. I wanted to add my C8 serial number to the registry. 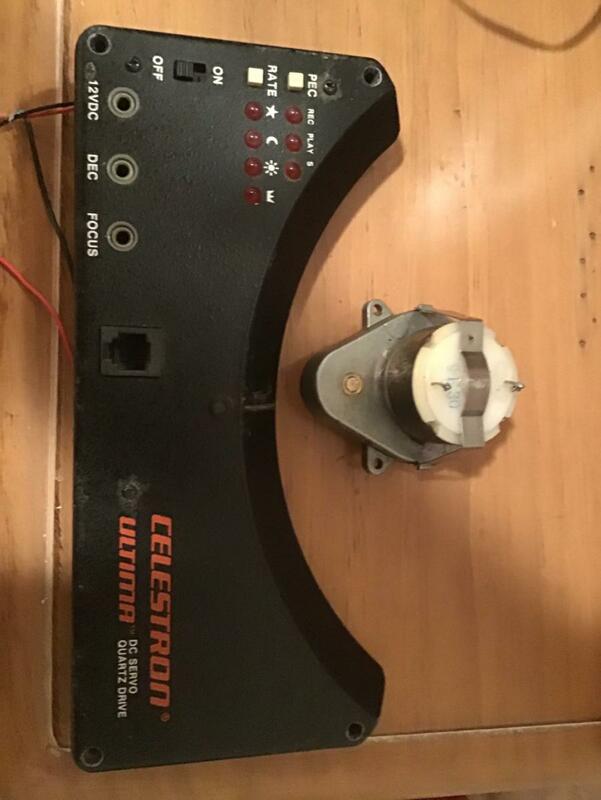 I purchased my Celestron Celestar 8 Deluxe s/n 923612 on 1/26/2001 from Astronomics in Norman, OK. Unfortunately I have not been able to find any photos, but will add a few when I can. Thanks, I thoroughly enjoy the hobby and the web site. Continuation of my previous post I disassembled the corrector plate to clean off the dust and found that I have a serial number of 8549F etched in the 3 o'clock position on the corrector. Thanks for helping me narrow the build date of my SPC8. Well it looks like I'm super late to the party here, but I just traded my C14 OTA for a full C8 rig + some cash, and I'm trying to figure out exactly what I've got. 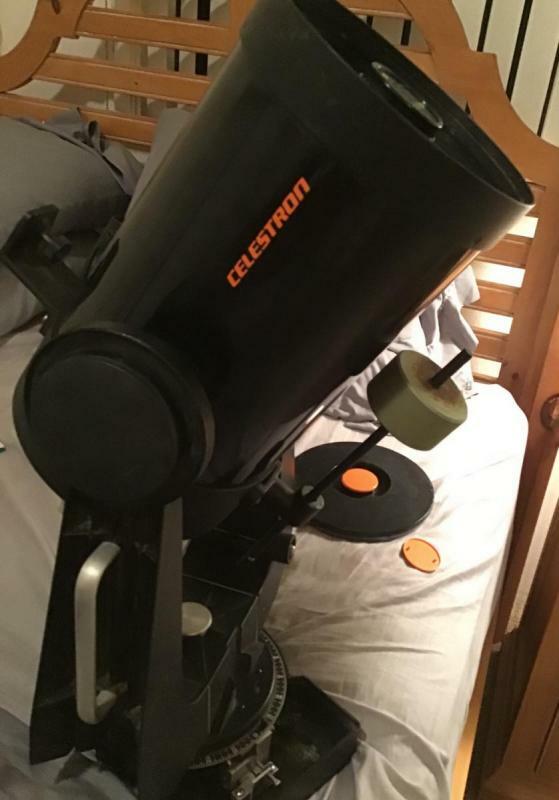 I had always wanted a Celestron, but the C14 was just a bit big for me to lug around and set up...plus I didn't find the fork, wedge, or drive for some years after I bought it (long ago). Anyway, I sold it to some very active astronomers that said this C8 was excellent. It's a white tube, serial number 819545, with Byers Drive. The drive motor is stamped 1983. Apparently I'm the 3rd owner, and I'm anxious to use it as soon as I replace the motor with a working one. I have a photo album here showing the situation. It seems to be a Super C8 based on the look and features. It doesn't seem to match the serial sequence of the special 100 white Super C8s mentioned in this thread though. More likely the photo memory size limitations. I have a Celestron Ultima 8. It doesn’t seem to have a serial number. I am am wondering how old is it? Can I buy a new motor for it? As described in detail in another thread, my club received a donation of a Powerstar C8, serial number 851061. How would we read the serial number? Possibly, "The 61st C8 manufactured in the 1st quarter of 1985?" Or, "The 61st C8 manufactured in October of 1985?" Flip it over, they started putting the serial number sticker on the bottom plate at one point. The 8 stands for it being a 8" scope. 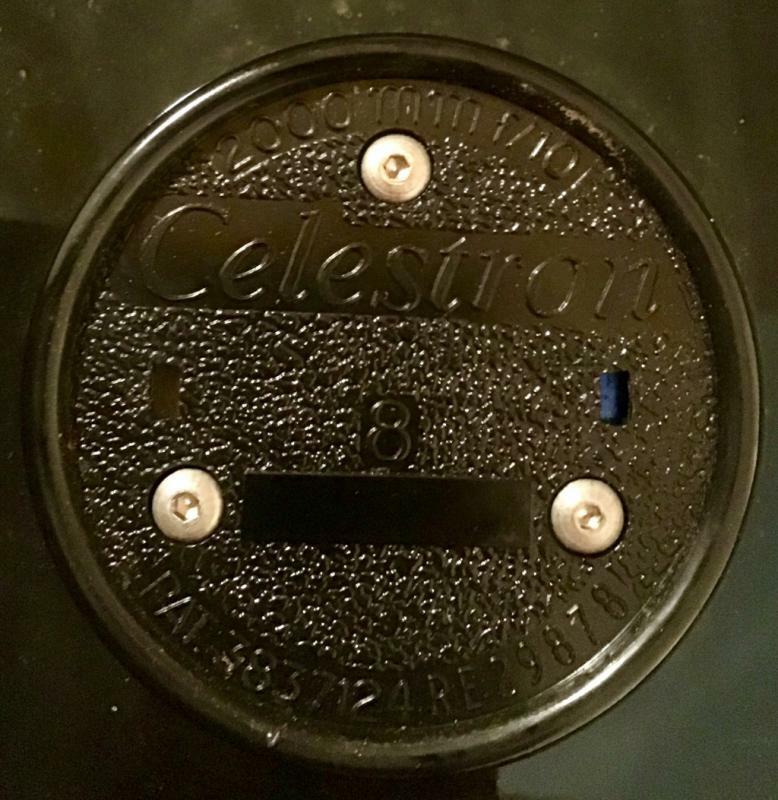 Celestron started the serial numbers with a 8 when they changed the way they numbered them. IIRC, it was late in 1978. 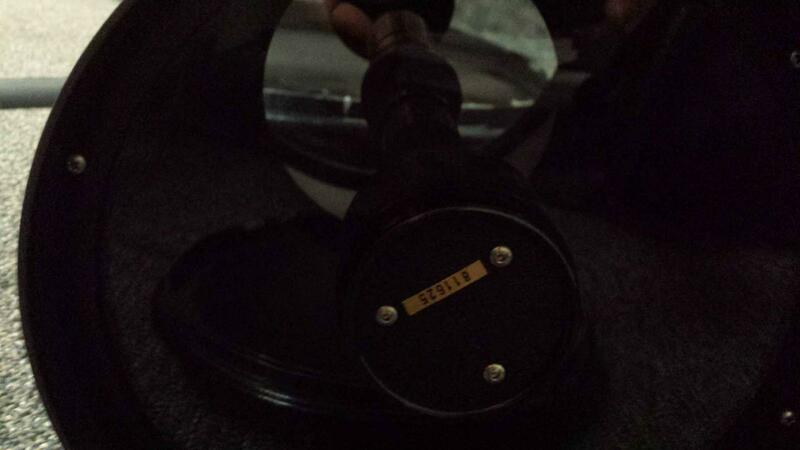 My C8 was purchased directly from Celestron in March of 1979 and it's serial# is 800783. @Masvingo, I wonder whether you ever gave some though of having this magnificent list shared (visualization mode-only) instead of the current, IMO more cumbersome screen capture where we viewers miss on so many useful features, such as searching for our own scope among an ever-growing list, filters, fixed headers - for better understanding of what each column stands for, etc.) found on any spreadsheet worth its salt. In case your only reason for not doing so is lack of time (as I'm not sure this is either on an Excel sheet, offline or on Drive), I'd be more than happy to put my +20-year long spreadsheet usage to good use and gladly help you out under supervision, of course. Edit: Not to mention that would mean the end of the current "new list-new post" system. [post edit] meaning this thread could even be archived with the link for said online file posted as its last reply, (or even a sticker) who knows. Edited by theApex, 16 April 2019 - 09:13 AM. Also in case the community would approve it, further formulae could hep us coming out with more comprehensive statistics, such as which any two scopes on the list were produced the closest to each other; changes in features (coatings, serial number positioning, etc) - the list (and most importantly, the general improvement of our own knowledge of such C8 data) is practically endless!